I am trying to find a place in Dubrovnik to rent good quality bikes (preferably road bikes) for a week-long biking trip in Sept. I haven't had much luck on line. Any tips? I too am looking to rent bicycles in Dubrovnik in August. Have you had any luck in finding a place? And now me too. Anyone have any luck? Did any of you find bike rental places in Dubrovnik? Also, do you know if it's safe to bike up the coastal route 8 in May/June? 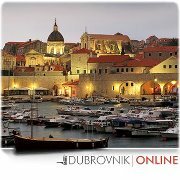 From 2012. bicycle rental (mountain bikes) will be available at Dubrovnik Travel Corner.